Up for review tonight is a new to the market decal crew called Dope Digits. Sava (the creator of Dope Digits) saught to set her decals apart from others, taking the kitsch out of the art and adding in flavors of hip hop and contemporary culture. Additionally, she offers her buyers creative freedom with the ability to design their own decals. 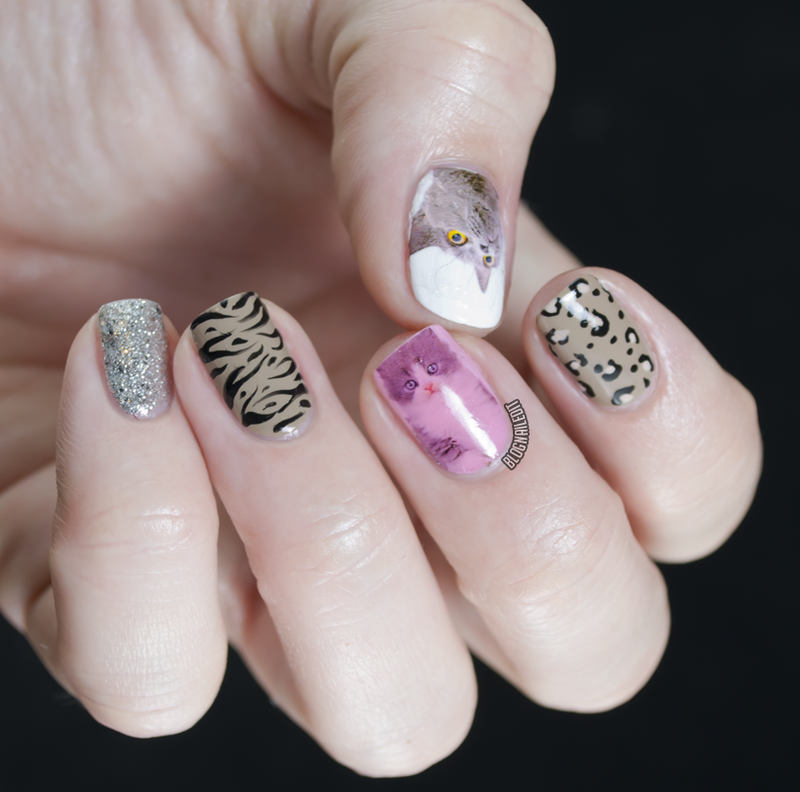 The set I chose to review is the Crazy Cat collection, which features the famous feline, Grumpy Cat. 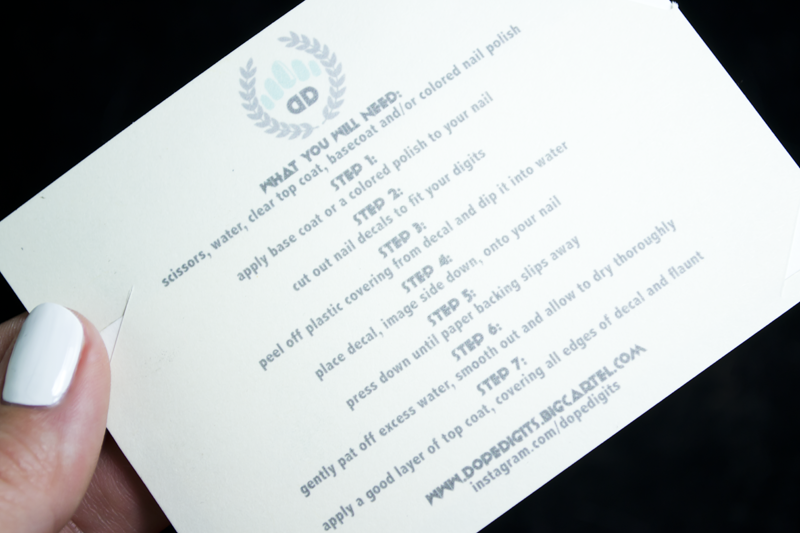 The decals come with complete application instructions. Even so, I had some trouble with these decals, as you can see with the wrinkling on my thumb. The decal is quite thick, not thin like a temporary tattoo. This is both good and bad. It's good because it won't rip or tear upon application. It's bad because it's unruly to work with on smaller nails. I didn't understand how important it was to cut the size of the decal to match your nail size exactly. I assumed I could pat it down and swipe off excess with nail polish remover, but the thickness of the decal makes that messy. Additionally, I recommend putting your decal over a white base. As you can see, my middle finger kitty got a bit lost over the pink base, but the Russian Blue on my thumb stands out nicely. I also messed up a little and didn't make sure the sticky side of the decal was completely free of debris before laying it down. A little fuzzy got stuck underneath, and I couldn't get it out after that. Learning from my mistakes though should make application of these much easier! 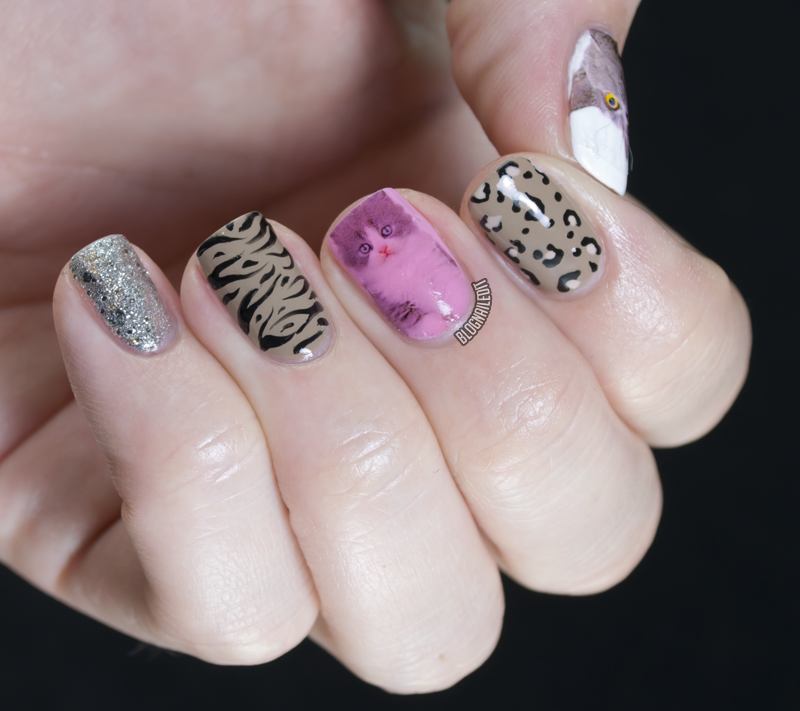 To complement the decals, I did some kitty spots and stripes, and gave a nod to bling on my pinky. Sava's designs crack me up. She has one (NSFW) set called the Twerk Team, and I'm surprised I haven't seen Snoop rep the decals of his own face here. The sets each come with 14 decals and cost $7.00 each (except the "Design Your Own", which is $10). 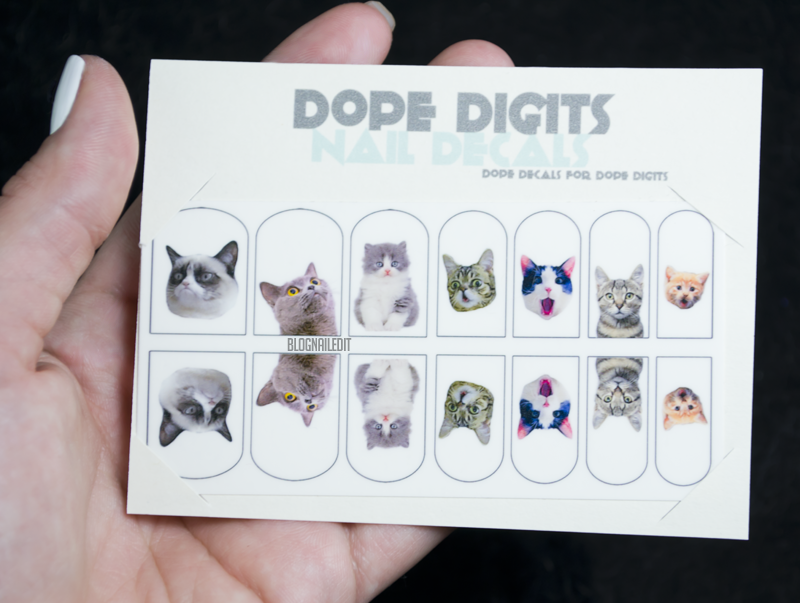 Browse the Dope Digit store for current decals and updates on new designs added! These products were sent to me by Dope Digits. The reviews are based entirely on my experience with the products and were in no way influenced by anyone. These are bomb. Definitely checking these out!! Good to know about the white base, although I think your pink middle finger still looks cute. I'm eye-balling those Twerk Team nails pretty hard! so adorable! i'm dying to get my hands on these!